A busy running farm, also supplying potatoes to Norfolk & beyond (inc. Roys). All the cheese is made using traditional methods with the dapple varieties being cloth bound, ensuring a dappled rind & firm texture. The cheese is turned by hand everyday with the Tawny getting a beer bath weekly (I wish I was a cheese!). Norfolk Dapple – an unpasteurised (raw) hard clothbound cow’s milk cheese. A matured smooth award-winning cheese with a touch of nuttiness and a dappled rind. An excellent alternative to cheddar. Uses – – I love it with any juicy chutney. But its great grated as a VIP sprinkle or sarnie filler. Norfolk Tawny – an unpasteurised cow’s milk cheese, beer washed with Norfolk ‘Old Stoastwobbler’. A softer cheese than above with a firm rind. A tasty cheese with a beer infused slightly salted crust. Similar to Caerphilly. Uses – – Cheese on toast – yum. A rich cheese for grating in to milder foods – like chicken or whipping up into a VIP Welch rarebit. Cheese made by handed down traditional methods to the third generation that is Mrs Temple. Her husband runs the farm with a whole host of Holstein and Brown Swiss cows. With her sparklingly clean and modern dairy with in metres of the milking room. Wells Alpine / Norfolk Alpine – made from Mrs Temples Swiss cow’s milk. Semi hard, with a yellow tinge, 6 months matured with tastes of sweet & nutty. Uses – – Great for grating and melting. Fondue, hot pots, dipping and more. Walsingham –a pasteurised cow’s milk cheese. A crumbly pressed and matured cheese similar to Wensleydale but a lot smoother with a little crumble. Uses –– For a nice cheeseboard with quince jam and salty crackers. OR melted in to veggie dishes. Copys Cloud –a small round Brie like cheese, oozy buttery and mild in flavour. Made from a mix of cow’s milk, from both Mrs Temples herds. Uses– – Lovely in tarts, coated in pastry or oozed in to toasties. Binham Blue – a soft blue veined cheese with a creamy yellow inner made from pasteurised milk with a grey ribbed rind. A mix of Holstein Fresian & Swiss Brown cows. Creamy, rich and subtly blue in flavour. Similar to a soft gorgonzola. Uses– – It’s so creamy its perfect for breaking straight in to salads and sauces marrying perfectly with beef, celery, nuts, chicory or pear. Gurney Gold– a pasteurised cows cheese, semi (but more) soft with a golden (twice weekly washed) rind. A little like French Tallegio. Uses – – Perfect for melting and dipping or use in oozie cheese sauces or meted on to snitzel. Formally Poppylot farm, using milk from British Friesland Ewes. Basically, sheep’s milk – classily used for Roquefort, Feta and Ricotta. All the cheeses are made with a vegetarian rennet. I once had the opportunity to visit the Dairy and help with the cheese making, I loved that the whey was fed back to the sheep. Norfolk White Lady – made from pasteurised Ewe’s milk. Similar to Brie with a creamy tangy rich taste with a firm well developed rind. Uses– – Makes a rich bacon and Ewes Brie tartlet, or bake on to crispy puff pastry with sweet chutney and crispy bacon. Deopham Blewe – made from Friesland Ewes milk, tasting a little like a creamy Roquefort. 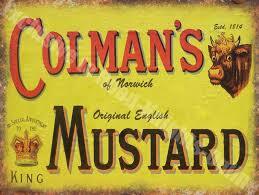 Uses – – as an indulgent Ploughman’s lunch with crusty bread and pickles. I also like to crumble a little in courgette risotto. Feta – a proper Norfolk Feta, salty and smooth. Uses – great for salads and to crumble on top of cous cous, stews and Mediterranean classics. It also purees well with roasted red pepper to form a feta & pepper dip. Wissington– a classic semi hard milky white cheese with a slightly bubbled textured, smooth and silky with a hard-dark grey rind. (Save that for flavouring sauces). Similar to a Manchego. Uses– On crackers with Quince and a glass of port. Perfect for the cheeseboard or slice soft shavings on to Caesar and the like. I love this place, it’s just up the road from me, so handy if I fancy a top up from their Goats shed shop (or local ice-cream). Wensum white is the only Norfolk cheese to win a ‘World Cheese Super Gold Award’ & Mardler was voted best veggie cheese in the UK 2018 in the Artisan Cheese Awards. Don’t tell anyone but Mr Steggles didn’t like Goats cheese when he first started making it!!!! They also sell Goats meat and Raw milk. Wensum White – A cheese similar in look to a Brie but made with pasteurised Goats milk and wrapped like a little rectangle sausage shape goats cheese. Creamy and rich in flavour. Uses – – Spread on to good bread with caramelised onions. OR melt in to a soufflé. Norfolk Mardler– made with a pasteurised goats milk. A smooth white eight-week matured cheese coated in a yellow wax skin. Uses– – A good cheeseboard standard. But I like mine in a cream sauce with white wine and a small smudge of garlic. Ellingham– is a soft feta like cheese made with goat’s milk. Creamy and rich with a little tang. Plus Goats Curd – a soft smoother spreadable version. Uses – – crumble in to salads, I like mine with watermelon, spinach, pomegranate seeds, red onion & a light oil based dressing. A three-generation farm making amazing cheeses from their Montbeliarde & Friesian cow’s left to munch away on the marchlands. Turning the raw milk in to cheese, butter and raw cream. Buy it from the farm – – while I’m passing I grab some raw milk from the vending machine and the most amazing coffee milkshake from the fridge – – bring cash. You’re also welcome to sneak a peek through the window in to the Dairy. Baron Bignold – made by unpasteurised Montbeliarde cow’s milk and aged for eight weeks. Similar to a Brie with a golden colour and creamy texture with a nutty, earthy note. Uses– – Rich and luscious enough for melting in to hot pots, rissottos, tarts and more. Fen Farm have a little shop (shed) with a raw milk vending machine and a fridge full of deliciousness – cash only. Working from the same premises as Fen Farm (above) but makers of the 2 cheeses below is Julie Cheyney from Whitewood Dairy. St Jude Cheese – a soft small light rich buttery cheese. Great for spreading. Uses– – Perfect for a Deli platter, spread on to everything. St Cera – is a washed rind version of the St Jude, creamy & tangy with a textured rind, making it perfect for melting to dip away. Uses – Bake whole or ‘penko crumb’ wedges to make a crispy coated starter, worthy of a sweet fruity chutney. A family run farm since 1946 and home to four generations. 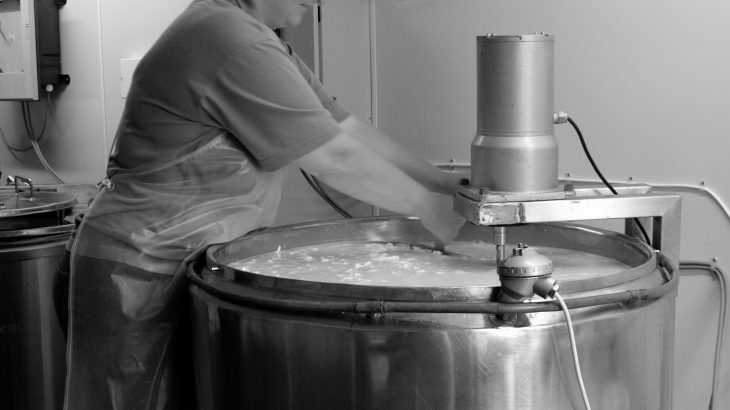 The cheese is made in house using the milk from their Brown Swiss Cow’s. The cows are milked by a robotic system running 24/7 meaning the cows wander up to the Dairy whenever they fancy. The Lavender is a Gold medal winner, winning a flavour award at the British cheese awards in 2017. St Swithins Soft – Soft Cream Cheese made from pasteurised cow’s milk. A creamy replacement for Goats cheese. They also offer lavender, chilli & apricot flavoured cream cheese – great for spreading. Uses – – Whip it in to savoury mouse or cream it in to sweet cheesecake. OR simply spread it on your bap. Feel free to come along to see the sheep being milked and learn how the cheese is made (see web for details) Milking daily at 2pm. The windmill also hosts a tearooms and shop. ‘Custard’ is but one of the sheep that get milked in their mini parlour, it’s after that that the raw milk goes off to the kitchens to be made in to cheese. Norfolk Charm – Similar to wensleydale, matured for 3 months. A slightly crumbly, rich smooth flavoured award-winning cheese. Uses– A good cheese board cheese, or serve with your Christmas cake. Millers Fancy– a feta style cheese, with a smoother milkier flavour and not as salty. Uses – replace with the bog-standard feta for a smoother purer flavour. Millstone Blue– is a creamy blue veined smooth, shiny and luscious soft cheese with a firm dark rind. Not overly matured but subtly veined – perfect to slice without the crumbly nature of stilton. Uses– Makes for a good pate, cheeseboard alternative or slice a topping on to steak and under pastry lids.